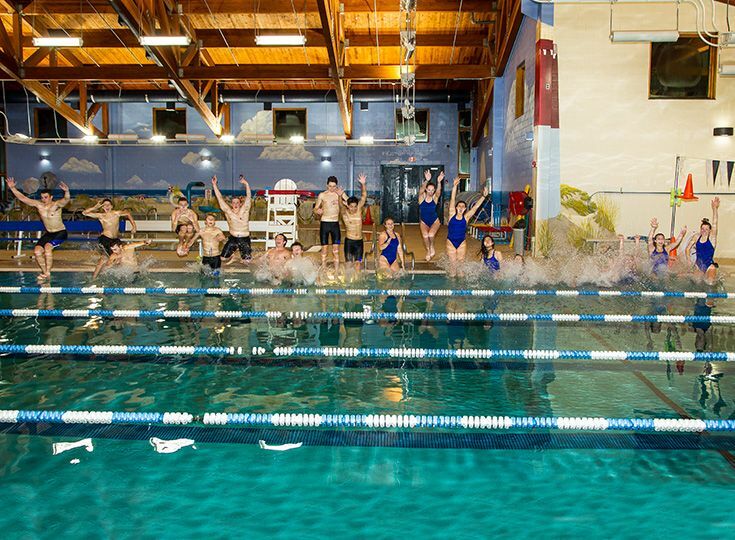 The swim team celebrated its most successful season in school history, posting a record of 4-3. In addition, several individual swimmers saw markedly improved times at championship meets. The season opened in December with a pair of tough losses against powerhouse teams Morristown Beard (90-80) and Newark Academy (99-71), but the team remained optimistic as the gap had narrowed considerably since the previous winter. January began with a win over Wardlaw Hartridge (90-80). After falling just short against the Hun School (93-77), the team won its last three meets of the year, toppling Jonathan Dayton 108-62 and sweeping a tri-meet against Newark East Side (99-49) and Bloomfield (99-19). In February, championship competition brought strong showings from the Knights. The most notable improvements this year came in the relays. On the girls’ squad, the 200 medley relay team of junior Sarah Smith, sophomores Kelsey Breuer and Rebecca Michaels, and freshman Lucie Antonius shaved an impressive 11 seconds off its time from last season. In the 200 freestyle relay, the team of Michaels, Smith, Antonius and sophomore Caroline Grant swam 9 seconds faster than in the previous year. Finally, the lineup of Sabrina Sukhin and Cindy Tong, Grant and sophomore Emily Wang shed an impressive 14 seconds off last season’s time. Not to be outdone, the boys’ relays also showed great improvement from the previous year. Most notably, the 400 freestyle relay team of junior Gabriel Myler, sophomores Robert Brandl and Jonathan Osma, and freshman Jake Baber went an unbelievable 22 seconds faster than last year. Among the athletes, Michaels had a particularly standout season. After being designated a top-50 sophomore swimmer by NJ.com, she tacked on points for the Knights in every one of her championship races, including a top-six finish in the 100 backstroke at the Skyland Conference Championships. At the Prep B Championships, she qualified for the highly-competitive Meet of Champions in the 100 freestyle (54.45) while grabbing fourth place overall. She also garnered second place in the 100 backstroke with a personal best time of 59.66. "I could not be prouder of what the students accomplished this year," said head coach Nolan Silbernagel. "They had a tireless work ethic and they created strong friendships with each other throughout the season. Those are key components in building up great athletic programs."